Um... so I had a bit of a problem with the topic this week. First of all, I currently live in Arizona. I don't know if anybody knows this, but there aren't a lot of beaches in Phoenix. Or large bodies of water. Or even small bodies of water. It's basically a lot of dry ground, bristly plants and scorching heat. Shocker, I know. I need to move... le sigh. 1. Sense and Sensibility by Jane Austen - This is my top favorite Austen book. There's just something about this story that resonated with me instantly. I could read it over and over again. I consider an old favorite a perfect choice for a day at the beach. 2. 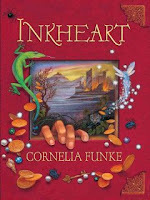 Inkheart by Cornelia Funke - Okay, so this book is neither light nor romantic, but it sure is fun! This whole series is one big adventure, and who wouldn't want that in a beach read? 4. The Scorpio Races by Maggie Stiefvater - Now you didn't really think you could escape a Maggie book this week, did you? Hee hee. I freaking adore this book. Though it's not exactly light and fluffy, it is captivating. The whole idea behind the Scorpio Races (which takes place on the beach) is truly mesmerizing and Maggie does an amazing job sucking you into the story. Who wouldn't want to get lost in this book at the beach? Just try not to worry too much about those carnivorous water horses leaping out of the ocean... gulp. 5. 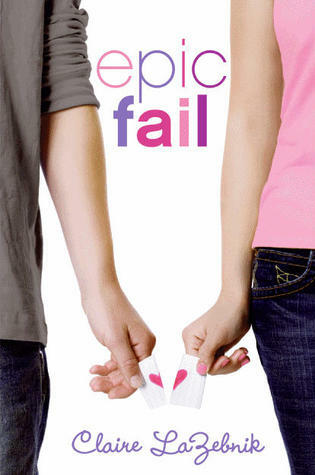 Epic Fail by Claire LaZebnik - Fun, flirty and full of Austenesque awesomeness! This pick is definitely a great, light book to stuff in your beach bag! 6. The Last Little Blue Envelope by Maureen Johnson - Is it weird that I think I liked this book more than the first one? I think it was because Ginny wasn't quite so raw from the loss of her aunt and it was a little more laid back... and there were more romantic elements in it, too. I think she also found more about herself, which is always wonderful to read. 7. When it Happens by Susane Colasanti - Sure, this is set in the school year, but it was still a really sweet read... which means it's a great beach pick! This was also a good book to start off my goal of reading more contemporary books. 8. Withering Tights by Louise Rennison - I mentioned the Georgia Nicholson series in my Light and Fun post, so I'll mention this one here. Tallulah has been admitted into a summer performing arts program and - as to be expected in a Louise Rennison book - hilarity ensues. Tallulah is so wonderfully weird, you can't help but laugh out loud. 9. Midnight in Austenland by Shannon Hale - I read this book earlier in the year and it seriously cracked me up. 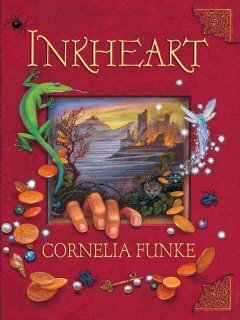 There are hijinks and romantic escapades and even a puzzling mystery. I think a good beach read can capture your attention, but also make you laugh like a loon... this one definitely does both! 10. The Goddess Test by Aimee Carter - Not light and fluffy, but definitely awesome. There are romantic elements and lots of character-defining moments to devour as you soak up some rays on the beach. I am obviously in need of some real beach reads, so do you have suggestions? Let me know in the comments below! 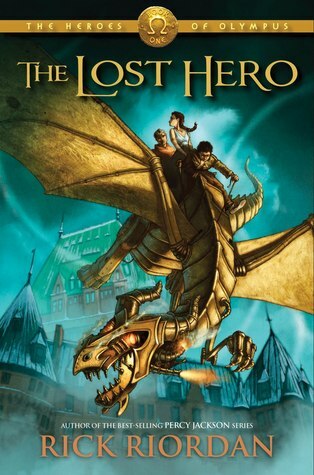 Great list, I also love the Heroes of Olympus series for all the reasons you stated. Right?! It's such a great series! You really thought this one out! And no duplications from the light & fun list? Good for you! Here's my list of Best Beach Reads! Yeah... hee hee. :D A little too much thought, but oh well. lol Thanks! Scorpio Races is a good choice! I love anything Austen, Sense and Sensibility was the perfect bus read for me. The Scorpio Races made it to my list as well. 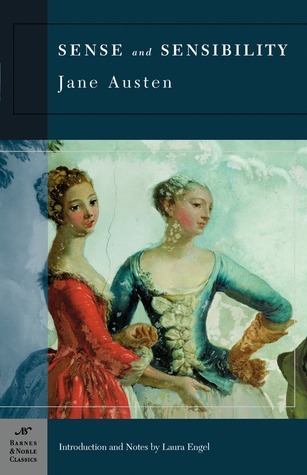 I have read a lot of Austen, but I haven't read Sense and Sensibility yet. I need to! Love the variety-classic, contemporary, romance. Great for any beach reader. 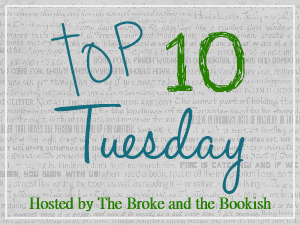 We're gonna have to read "The Last Little Blue Envelope," it's on so many TTT lists.